in the Mysticube, eventually you get its final form Magical runestone Crest. Four magical crests make 1 skill Addition Gem. Skill Addition gems either give you the skill if you dont have it or push your skill over the skill spend limit, providing your skill is maxed. The hammer in your inventory can be used any time while in game, and is used to dismantle gear that can be equipped. Every item you pick up that can be equipped, can be broken down to receive crests and crafting materials. The Crests are listed here in tier order from lowest to highest. Magical Runestone crest is the Red one. 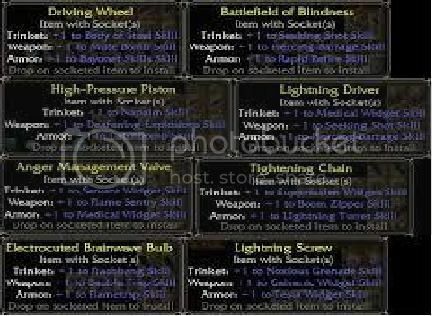 items into other useable items, its also great for storage. it requires 4 gems of the same tier to create the next tier gem. The last type of gem the cube can make is "Perfect Gem"
Skill recipes are found in certain dungeons or from bosses they are a key ingredient to making Skill Gems. Each Skill gem requires x4 magical runestone crest + 1 skill Recipe both placed into the cube to get your desired gem. skill adding the skill gem will give you the skill on your skill page to drag to your hot key bar. There are three diffrent types of recipes and numerous others for each type. information on all or most of the skill recipes the link can be found here . cache picture and will fill out details on each blueprint below. you want to id an item to see if its any use to your class otherwise dont id and break it down. Magic Crests to create your very own skill gems. You wont have much gold but it doesnt matter untill late levels in the game. Hopefully this guide will help you obtain true power on mythos Good Luck. You dont need to dismantle white, blue, green or purple if you dont want to, I dont. The tool tip for Runestone piece is wrong atm the cube requires 16 not 14. It is possible to make one magic crest in a day. Dismantle a Brown Item yields magic crests and legendarys. It is possible to get x2 Legendarys from 1 item. Not all end game builds require skill gems, A few builds benefit from other gems instead. it would have been lost for good. The other pictures can still be found via the hyper link above. If you need to know what blue print you need just ask on this topic. Very useful information! Thanks scotland. That is awesome info to know. Thank you for sharing it with us for sure. Whoa! Skill recipes? I had no idea. All I know is that to make money, you only pick up, identify, and sell purple or higher items. You can identify Blue ones and still make a profit, but the amount of inventory and inconvenience that identifying and selling all blue items give make them not worth it. That's just a newb tip of mine though, and I only reached about level 40+ on the other server. ...lucky for us an older player managed to get information on all or most of the skill recipes the link can be found here i take no credit for this list. Glad to see that it's still going to some use. Yeah, the market got flooded with crests because of the dupe glitch. MrLo himself had his stash filled entirely with magical crests... Over 20,000 of them, not to mention what he probably had on mule accounts. Back on topic; Thanks for the useful tip. I do hope to employ this useful information ASAP. spend on crests. For the people who strongly appose the item shop and have one bag then break down. always good i had to get people to buy me potions a few times due to having no gold. Re: End Game "Skill Gems"
Topic cleaned with respects to staying on subject, I updated the guide a little and added "too long didn't read". The original skill gem pic has been deleted indeed, but if you use Google Image search (key words: mythos gadgeteer skill gems) you can find the cached version of the original image. Bad quality pic, but good enough to get the informations you need about Gadgeteer's skill gems recipes . thanks, I managed to get the images uploaded to my photo bucket.